Boat-neck dress and straight shape. 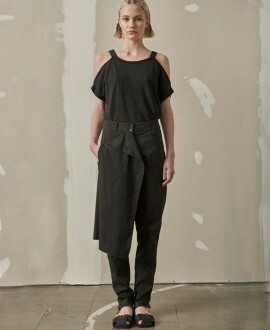 Circular cotton fabric combined to form the large front pockets. Very versatile and informal garment. Detail of front zipper.